A new survey conducted with 350 international players between October and November by the International Rugby Players and Rugby World magazine has revealed that 45 per cent of the players surveyed felt pressured to play or train when not fully fit. Each of the 20 teams taking part in next year's Rugby World Cup responded to the survey, plus representatives from Germany, Kenya, Hong Kong and Romania. “Contact at training whether in club or international set up needs to be limited," said one respondent. "There is enough contact week to week in games so I don’t see why there is any in training. Players need to be protected from under pressure coaching staff." Regarding head injury assessments, 28 per cent of the players surveyed also admitted to hiding a head knock in order to start the Return to Play protocols. A third of the players surveyed missed six matches or more due to injury last season, and suggested that the optimum number of matches players should be participate in per season should be between 21 and 25 matches. For context, 16 percent of the players surveyed featured in 31 matches or more last season. 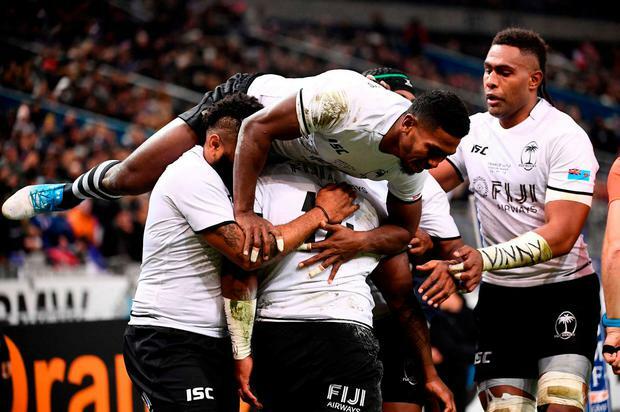 More than half the players surveyed from Emerging Nations - Germany, Hong Kong, Kenya, Namibia and Uruguay - felt pressured to play while carrying injuries. The survey also addressed the pressures of playing for both club and country, with 23 percent of the players revealing they had felt pressure from their clubs not to play international rugby. International Rugby Players CEO Omar Hassanein said: “Firstly, I’d like to thank all of our members who took the time to complete this survey. The feedback from all 24 nations was incredible and shows the passion of players who want their voices to be heard and the issues to be highlighted. “What's become evident is that player welfare can’t be just talked about, it needs to be acted upon. As an example, too many players are highlighting player load as a real issue and talking about being overburdened in training or playing too many matches.